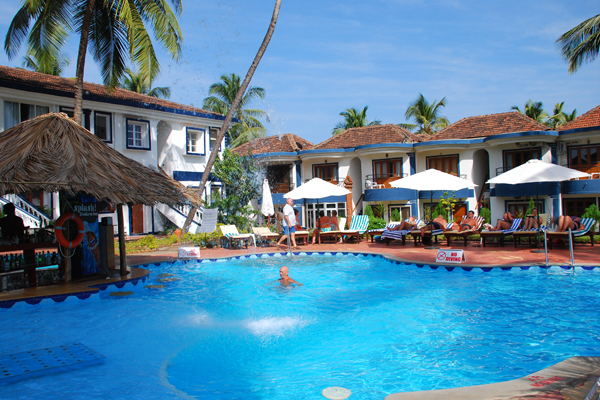 Santana Beach Resort opened in Candolim, Goa on the 8th November 2005, at a stone's throw away from the Arabian Sea. Surrounded by beautifully landscaped gardens and sand dunes, this beach resort offers accommodation for short and long stays throughout the year. The small apartments have been simply decorated but should satisfy all your needs. Take a look round our site and if you still have questions or would like further information drop us an email and we will get back to you with all the answers.